The Center for Innovation Management and Enterprise (CIME) has built a network of experts which will support the project, this is a mix of social enterprise expertise including a number of practicing social entrepreneurs. The team is multinational and is balanced between people who have developed resources for entrepreneurs, supporting business start-ups and those managing social enterprises. This group will be expanded into a basecamp network once the initial consultation phase has been completed to support the mainstreaming of the materials developed and supported offered. 8. Jessica Mcgreal – International business development expert. Areas that could be highlighted – Routes to market (RTM), Effective structuring, finance and funding, sustainability, market analysis, impact analysis, etc. ‘Theory now practice’ – need to develop a model that has concert outcomes i.e. start SEs, projects, etc. Candidate: Someone who has launched a SE, interested in stabilising or maturing the SE. Requires more detailed and specialist content. Time-poor due to “running” the SE. Candidate: Someone who has established 1 or more mature SEs, and interested in innovation, growth or replication in additional locations. Requires extremely specialist and nationally relevant content. Extremely time-poor due to leading the SEs. Delivery Context: 10 (90 min) sessions across 1-2 months with development of business plan as key outcome. At least 70% face-to-face interaction supported with on-line material. 45 hours total learning. Organisational structures – SE and public or private organisations? Overview – Offers the student an insight into all basic aspects of entrepreneurship highlighting the differences and similarities associated with social enterprise. Students will also engage with basic business/project development pathway. Overview – Students develop on the base from the previous session, and develop a basic idea and engage with the issues of pitching and identifying customer needs, and how plans need to be adaptable and dynamic. Overview – Students will explore different legal structures and how the nature of the business objectives will dictate the appropriate legal structures, the benefits and shortcomings of structures, tax and other factors that are impacted by the legal structure selected. Legal Structures – Private or SE? Overview – Students will explore how to structure a business start-up (organic), the role of effective planning, resourcing and contracting options and processes to meet the initial business objectives. Overview – Students will explore various issues as associated with marketing and communications and recognise the role of effective marketing strategies and the various channels that can be mobilised. Overview – Students will develop a basic understanding of fundraising options and to identify which route would be most appropriate for the business start-up ideas from previous sessions. Overview – Students will recognise the roll and importance of social impact assessments as a tool for supporting the development of social enterprises, and how these will impact funding and other development activities. 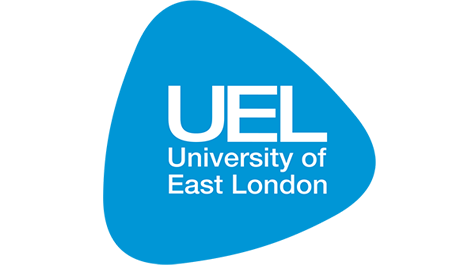 Overview – Students will explore the role and importance of sales and selling techniques and the scope and role that trading activities can play in the development and effectiveness of a social enterprise. Overview – Students will develop their knowledge and understanding of book keeping processes and procedures and how to keep basic accounting records and the role and importance of reporting. Overview – Growth and sustainability is integral to all business start-up idea development, students will be expected to recognize the routes to growth and how to ensure that any social enterprise activities are sustainable after any initial seed funding. 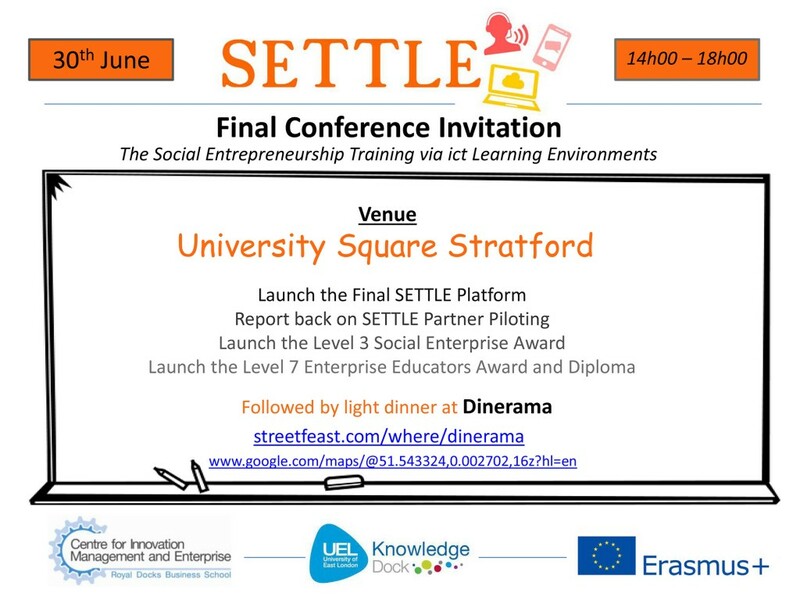 It is the intention of the UEL SETTLE team to ensure that the social enterprise competencies that the SETTLE partners are presently developing will inform the assessment structures that will support these units.